Adrian, the farmer of the Neuhaushof, who ensures that everything is in tip-top shape around the farm and in the barn. Evi, his wife, who is responsible for making guests comfortable and happy, and is always available to assist whenever you have a question or request. Patrick, Elisa and Juri, who are always a fresh breeze here on the farm. Zenz, the senior owner, whose great help around the farm is indispensable. And Babi, the heart & soul of this farm, who always has a smile and a good word to share with everyone. A holiday spent at Neuhaus Farm means – a holiday in the heart of the Dolomites. 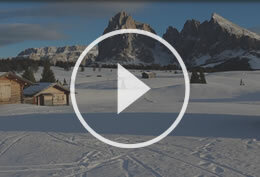 Surrounded by the many pistes of the Dolomiti Superski ski region, and at the entrance to the Puez-Geisler Nature Park – named to the World Natural Heritage List by UNESCO in 2008. 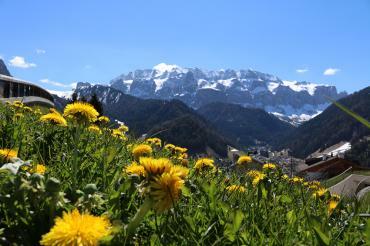 The Dolomites of South Tyrol await you! 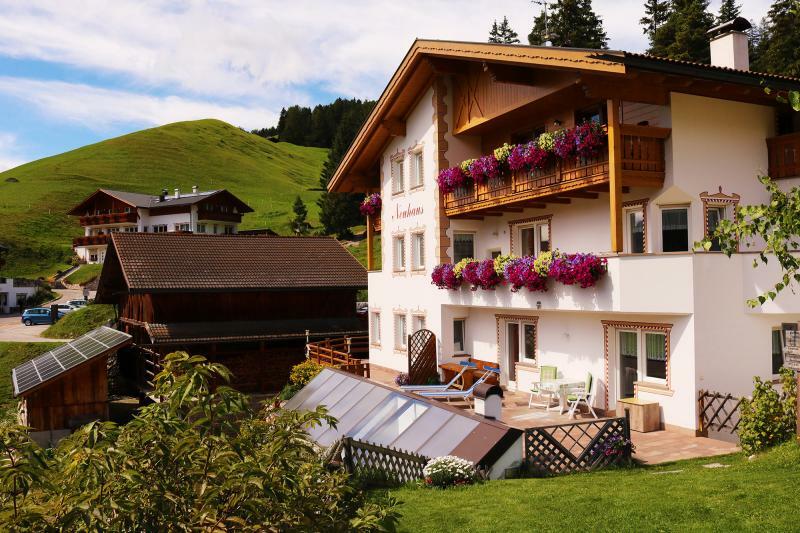 Throughout the year, the Neuhaushof – with its comfy and lovingly furnished holiday apartments – is the ideal place to unwind and reenergize completely. 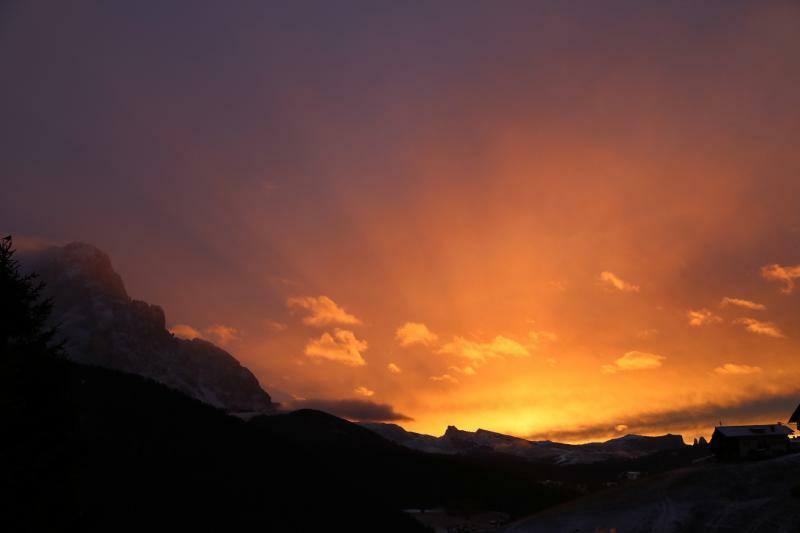 Avid skiers and snowboarders, relaxation-seeking cross-country skiers, energetic mountaineers and tireless hikers all find their own little piece of heaven. But also people who are simply in the mood to escape the outside world for a while, will find the perfect holiday address here at our family-friendly farm. 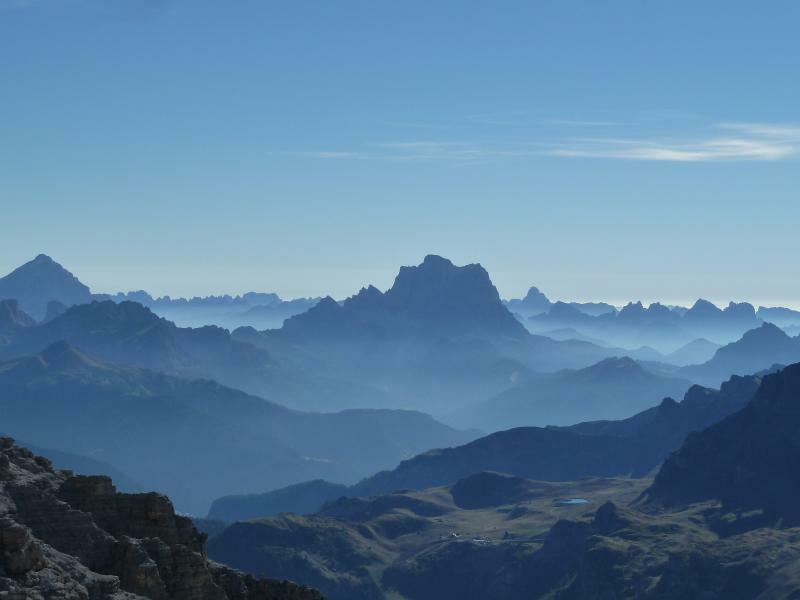 The breathtaking views of the famous Langkofel, the imposing summits of the Sella Group and the jagged Cir Group are certain to set the pulses of everyone, including lovers of the mountains, racing with pure joyous anticipation. 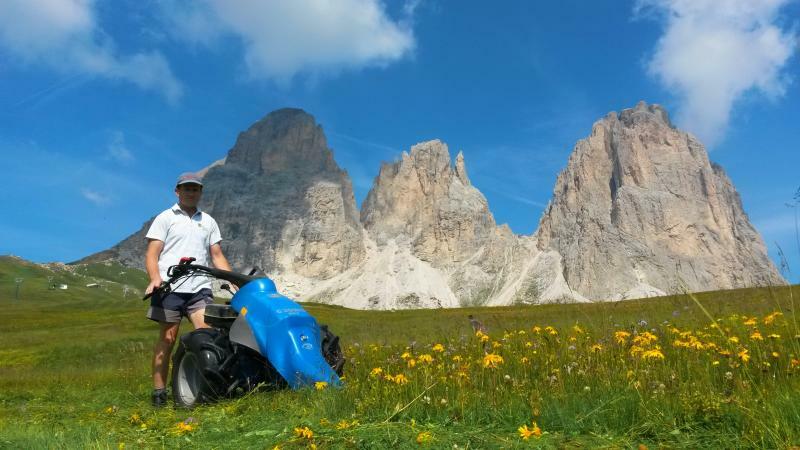 Selva Gardena has been one of the most famous holiday destinations in the Alpine region for decades, beloved because of its sincere hospitality as well as outstanding opportunities for tourists. 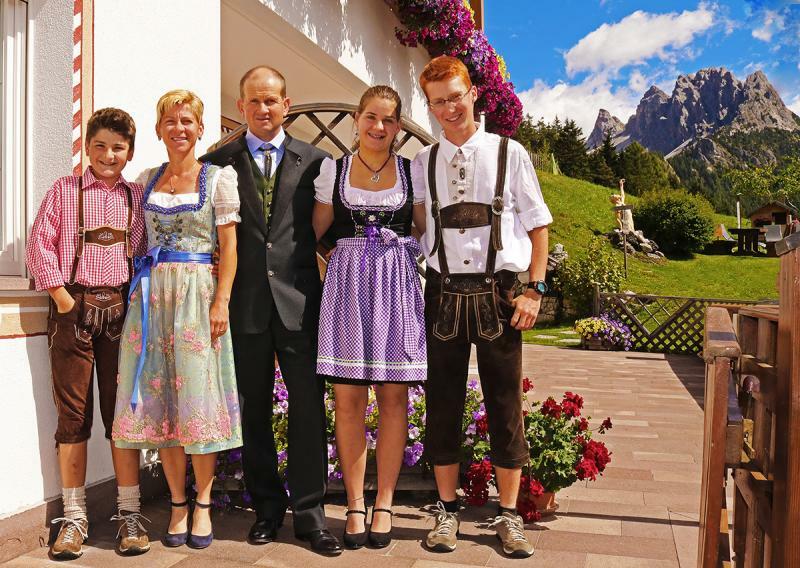 Here at the Neuhaushof, where we have been welcoming guests from near and far since the early 1960’s, we also feel ourselves committed to this tradition, doing everything we possibly can to turn this, the most beautiful time of your entire year! Every season a truly unique experience! 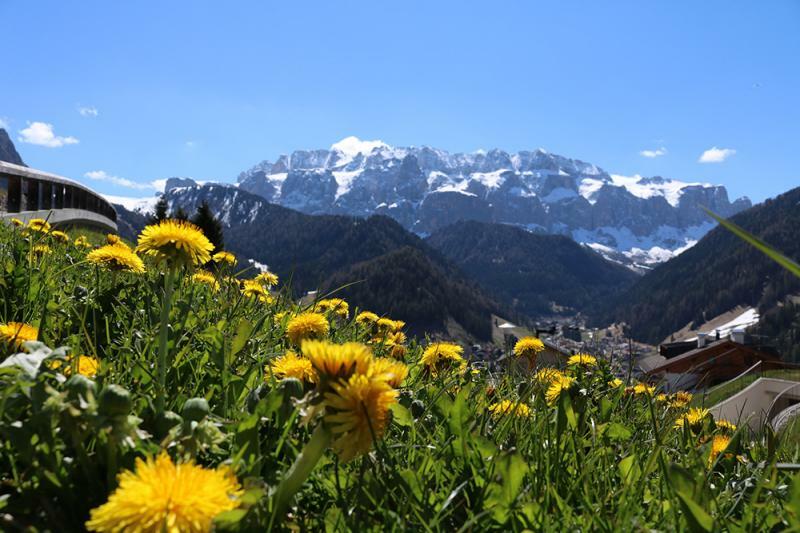 In spring, when the first rays of sunshine slowly begin melting the snow, from beneath which an array of magnificent alpine flowers, such as the blue gentian and the lemon-yellow cowslip, begin to appear. 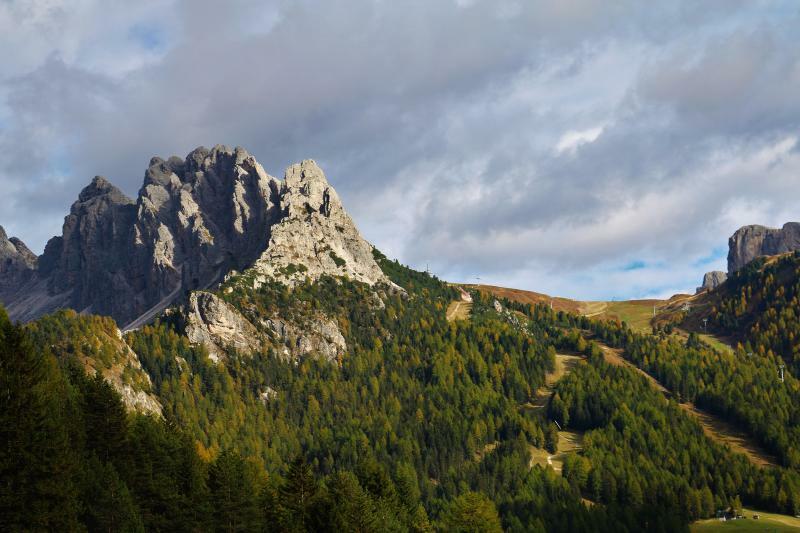 In summer, when glorious alpine meadows and high pastures invite hikers to set out and explore, when the unique “White Mountains” tempt holidaymakers to put their mountaineering skills to the test, and when, in the evening, the unforgettable alpenglow of the Dolomites immerses visitors in an absolutely magical world. 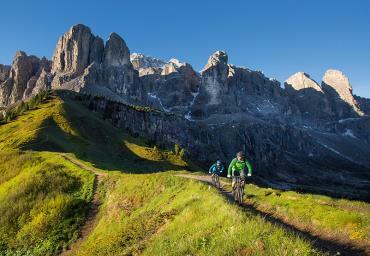 The magnificent natural countryside, including wonderful mountain pathways, is also a source of constant excitement for bike riders. Ride along the same trails as the legendary MTB race known as the “Sellaronda HERO”, which is held annually in the South Tyrolean Dolomites, and experience the ultimate adrenaline rush first-hand. 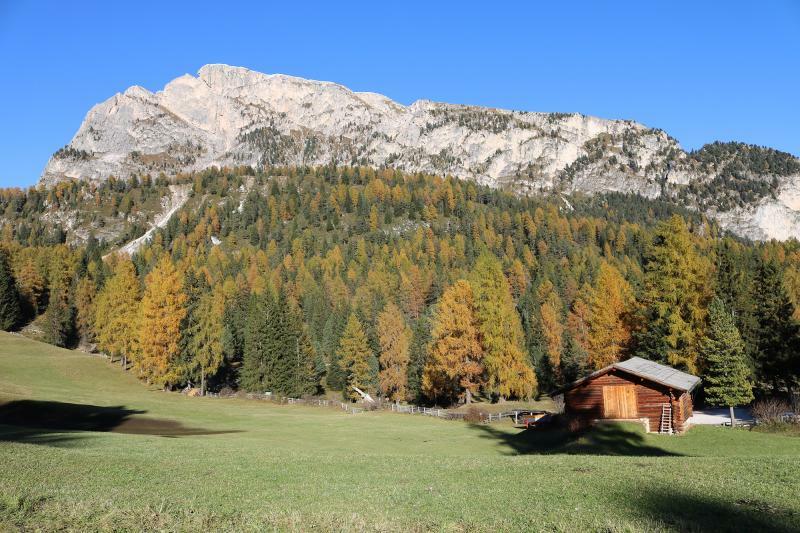 In autumn when the deep blue sky and golden forests of larch trees summon up unimagined energies from deep with your body and soul, and when you can’t wait a second longer to pack your rucksack and explore the Puez- Geisler Nature Park, which opens its gates to you barely 100 meters behind the Neuhaushof! 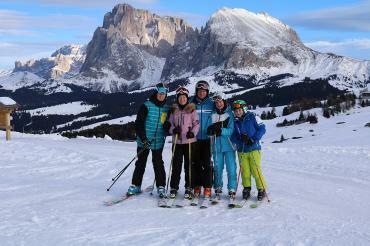 In winter, when you are barely a stone’s-throw from boundless skiing enjoyment. 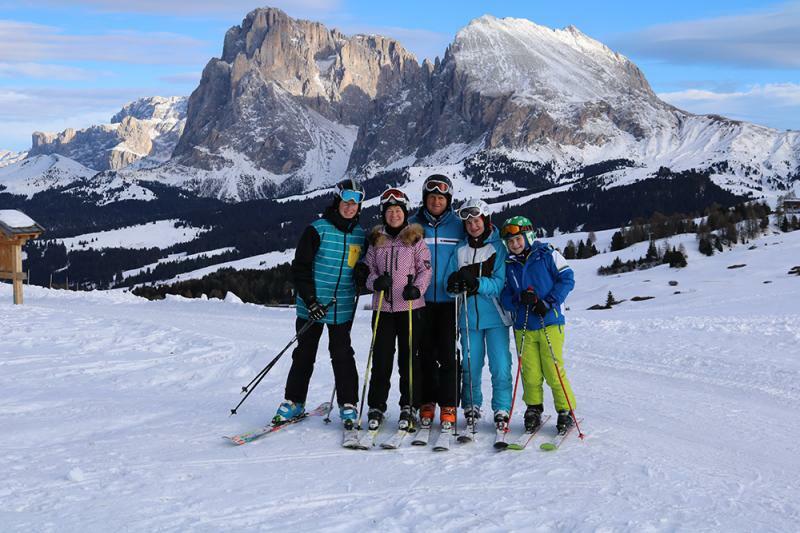 A ski bus, which stops right outside our front door, carries you in just a few minutes to the famous Sellaronda and the fascinating slopes of Dolomiti Superski.